The Battle of Shiroyama (城山の戦い Shiroyama no tatakai?) took place on 24 September 1877, in Kagoshima, Japan. It was the final battle of the Satsuma Rebellion, where the heavily outnumbered samurai under Saigō Takamori made their last stand against Imperial Japanese Army troops under the command of Generals Yamagata Aritomo and Kawamura Sumiyoshi. The battle culminated in the annihilation of Saigō's army as well as his death, marking the end of the Satsuma Rebellion. Respect administrators and other players. Only Officers are allowed to use Global chat. If you have less then 5 men, join another line. Fire in Charge is allowed. Reload in charge is allowed. No fire out of formation. Must keep no more,than 3 men spaces. 3 cannons for team (depending on the map). Minimum of 2 men( cart,artillery man) per cannon. Maximum 6 men per cannon. Arty Guard must behave like lines,it may move out of arty position. Each cannon is allowed to have an engineer. Must be in formation all time before charge. 1 men disturbance - Slay. 1 men disturbance again - Ban. This phase will be played as Battle. the Samurai take their positions as the Imperial army marches on the road, not aware of the ambush. The signal is given to the bowmen, and they open fire on the marching Imperials. the Samurai infantry attacks covered by the bowmen to destroy the Imperial convoy. 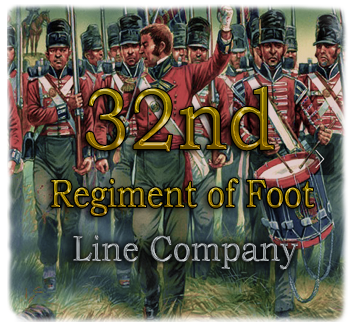 the Regiments on the side of the Imperial Army form on the road in double ranks. Every regiment is led by their officer on horseback, and the whole convoy is led by the General. They march until they are ambushed. The Imperials form ranks and start firing in the command of their own officers, trying to repel the samurai the best they can. the Samurai, again, take their positions and try to evade casualties from the heavy bombardment they will receive at the beginning. Once the Imperials have arrived and shot two volleys to the defenses, the Samurai are given the signal and they charge directly to the Imperialists trying to crush them in hand-to-hand combat. the Bowmen may give important cover and decrease the musket fire during the charging –perioid (if they don’t choose to charge themselves). Their goal is to kill the Imperial Infantry and fight fearsomely to the last man (or samurai). Imperial Army: the Regiments on the side of the Imperial Army form on the road, and once they are given a signal by the General they advance over the hill to provoke the Samurai. At the start of the round, the Artillery loads all cannons and begins heavy bombardment at the Samurai defenses. Once all Imperials are ready to move out, they’re given the signal and they advance over the hill and form in firing ranks (Regimental ranks, just stick close to other Imperial Regiments). They shoot two volleys at the same time when a signal is given to all officers. Then, as the Samurai charge, they –must- charge aswell – but they can reload and shoot during the charge, but they must continue moving forward to finally face the Samurai in hand-to-hand combat. Samurai: All the Imperial Infantry are eliminated in the melee. As there is no point charging the reserves and the artillery by foot, the Samurai simply stick behind the hill to regroup and gather up horses for their final charge to fight for the old ways. Following defeat at the Siege of Kumamoto Castle and in other battles in central Kyūshū, the surviving remnants of the samurai forces loyal to Saigō Takamori fled back to Satsuma, seizing the hill of Shiroyama overlooking Kagoshima on 1 September 1877.
all the Samurai group up behind a hill, on their horsebacks. Regiments on the Samurai team can up their own charging lines. When everyone is in place, the Samurai gallop up on the hill and shortly, when the signal is given, they charge towards the Imperial masses. They could either charge directly to the infantry firing at them, or try to pass the infantry with minimum casualties and try to take down the artillery. If the Samurai win, the Imperial staff are to be beheaded (seppuku) by the Samurai. the Regiments on the Imperial side are led by their officers, who take the cavarly officer unit (they should be on horseback). They’re led by their officers to form firing ranks in front of the artillery (down the hill) and try to block the way to the artillery, and at the same time try not to get themselves killed by the fierce Samurai charge. the Artillery loads all the cannons and can begin firing at the moment the Samurai start charging. the Gatling Guns can be put in use under the Imperial General. If the Samurai are being completely deceased and there are only afew Samurai left, the General may order all firing ceased. the Samurai may either commit seppuku to eachother or keep charging, if they want to be killed in combat. Last living person on the Samurai team earns the title of being the ”Last Samurai” and can be beheaded by the Imperial General. We need to give them instructions about each event phase. Have you read and accepted the rules? : Yep. Interesting event. Best of luck with it. i hate everything, especially you. Regiment name: Household Royal Guards. Unit in phase 1: Samurai / Artillery. Unit in phase 2: Samurai / Artillery. Unit in phase 3: Samurai / Artillery. Have you read and accepted the rules ? : Yes. Time you prefer more ( 18.00 GMT or 19.00 GMT)? : 19.00 GMT.